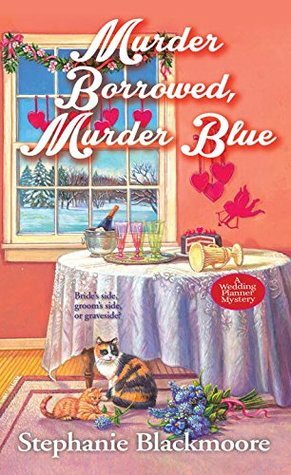 Murder Borrowed, Murder Blue is the third book in the Wedding Planner Mystery series. I have enjoyed this series and it seems to get better with each book. In this outing, Mallory and her sister Rachel are still trying to get their Wedding Planning Business and Thistle Park B&B off the ground. They spent a lot of money renovating the old mansion so when the opportunity arises to host a celebrity wedding on a reality TV show, they are happy to oblige. They hope that the positive publicity it will bring to them will keep them afloat and book up their schedule. However, things rarely go as planned. Before the wedding, they are putting on a debutante ball, where a very expensive tiara is stolen and a dear friend of the bride is murdered. The suspect list is long and the wedding still has to go on. The interactions between the characters in this series is quite interesting. Helene, the grand dame of town is the character that readers will love to hate. She is demanding, arrogant, obnoxious and rude to pretty much everyone. Mallory is outwardly poised and professional, even though in her head she is ready to let her have it. The other main characters from previous books are here and continue to support Mallory. I liked that her sister Rachel played a bigger part in this book and we got to learn more about her. 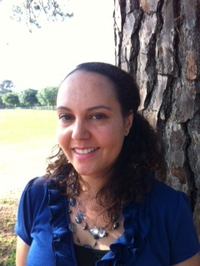 Stephanie Blackmoore’s writing style is quite descriptive and her characters are well developed. The story is well paced and the plot is well developed. There are red herrings and interesting twists that kept me engaged in the story. I always like a mystery where I do not figure out who the culprit is and this one kept me guessing right to the end. I definitely recommend this book and series to Cozy Mystery lovers. The publisher generously provided me with a copy of this book upon my request. The rating, opinions and ideas shared are my own. About the Book (From Goodreads): A celebrity couple getting hitched on Valentine’s Day would be a big boost for Mallory Shepard’s wedding planning business, but someone’s got cold feet: a corpse . . .
Actress Dakota Craig is set to tie the knot with her famous musician boyfriend at Mallory’s Pennsylvania B&B on the most romantic day of the year. Best of all, the whole thing will air on the reality TV show I Do. But the maid of honor has dropped out of the wedding party–by dropping dead. A lot of people insist the show must go on, so Mallory’s investigation keeps getting sidetracked by everything from a meddling mother to a foot of snow to a side project making arrangements for a high school Winter Ball. But if she doesn’t catch the noxious culprit, the bride might wind up with a funeral wreath instead of a bouquet . . .
About the Author: A native Pittsburgher, Stephanie now lives in Missouri with her husband, son and two spirited cats. She was an attorney and a librarian before becoming a writer. Stephanie is a fan of snow, strawberry-rhubarb pie, and the color yellow. She is hard at work on her next novel. I’ve been wanting to try this series! Great review, Carla!!! I am enjoying it. I didn’t realize I was behind until I said I would do the blog tour and saw that I had missed one. Quick, fun reads so it was no problem. Good review. It left me wanting to read this one! This cozy mystery does sound interesting, Carla. Not a lovely situation for the bridal couple. No it isn’t. Makes my wedding look pretty tame. 4.5 stars! That’s excellent. The wedding theme isn’t really suited to me, but I’m so glad that you enjoyed it.